Introduce your junior to the great game of golf! 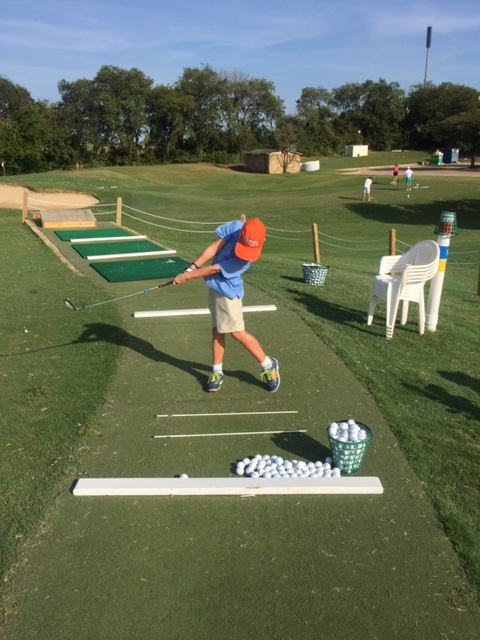 Junior Academy is a year-round program open to golfers of both genders, ages 6 - 14. The program is designed to benefit everyone from beginner golfers with no prior knowledge of the game up to intermediate or even advanced golfers who want to improve their game. Enrolling your child in our classes will both develop and improve their golf skills and understanding of the game. Part of the PGA Jr. League Program, the academy offers both fantastic junior golf programs and competitive events. Not only are the children learning the necessary skills, but they are also applying them regularly. The academy is dedicated to growing the game of golf by bringing quality instruction to those individuals desiring to learn the rules and skills of the game, golf history, sportsmanship, integrity, and positive character traits associated with etiquette and tradition of the game. PLAYER DEVELOPMENT IS DEFINED AS A LONG-TERM STRATEGY VERSUS SHORT TERM TACTICAL TRAINING CLASS. All classes consist of no more than 6 students per one coach, so you can be sure your child is receiving personal attention. The Junior Golf Academy is a resource waiting to be tapped. Have a PGA professional teach your child the sport, and soon experience the bittersweet feel of him or her beating you on the course. Golf is a great business tool and offers a great family experience.